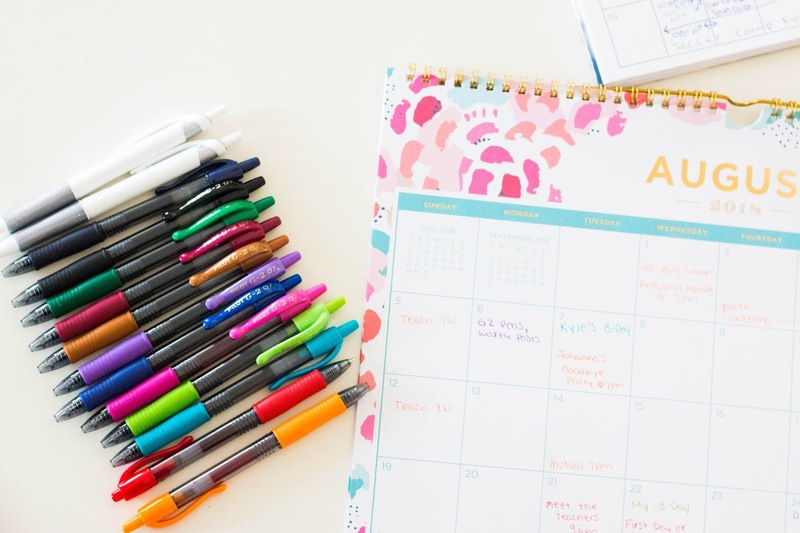 With school starting in just two more weeks for our family, I've been trying to figure out all the best ways to keep all the schedules organized for the busy school year ahead of us. Between school, church responsibilities, doctor appointments, after school sports and more, it's easy to feel like something can get lost in the shuffle. 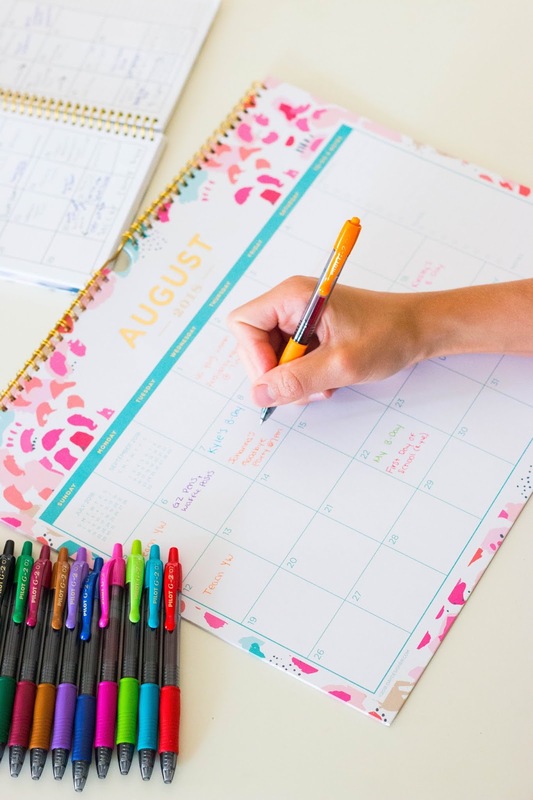 When I was doing my back-to-school shopping at Target this year, I bought an assorted pack of G2® pens by Pilot Pen, so that I could make an organized family calendar in our kitchen. I love G2® pens by Pilot Pen because they are the smoothes gel ink pens that I've ever used, and they've been a long time favorite of mine since high school... and for good reason since they're the number one selling gel ink brand in America. 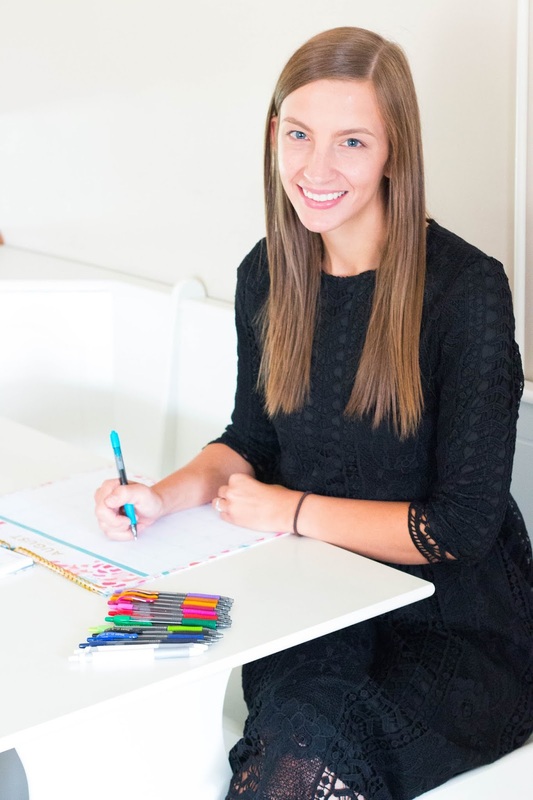 For this project, I simply bought a large calendar for my kitchen wall and then assigned each family member they're own color ink with my G2® pens by Pilot Pen. Once everyone was assigned a color I then went through my planner and transferred everything on our calendar to the large one. I realized that between my own work projects on the blog, my church responsibilities, and my own assignments for my last year of college I'll be starting soon, I had a lot going on and was actually able to assign myself several different colors of ink so I could keep everything balanced and in order for myself. I love that that quality of Pilot Pen products is the same throughout their entire color range so that I don't have to worry about ink skipping, or smearing when I write, and that everything looks clean and orderly when I'm done. Once I finished writing in all our upcoming events, we simply hung our new calendar on the wall, right by our garage door, so now everyone sees it when they leave for the day. I've found that it's a great way for us as a family to stay up-to-date on what's going on in everyone's lives and so that there aren't any surprises with a last minute practice or work project that someone forgot about. 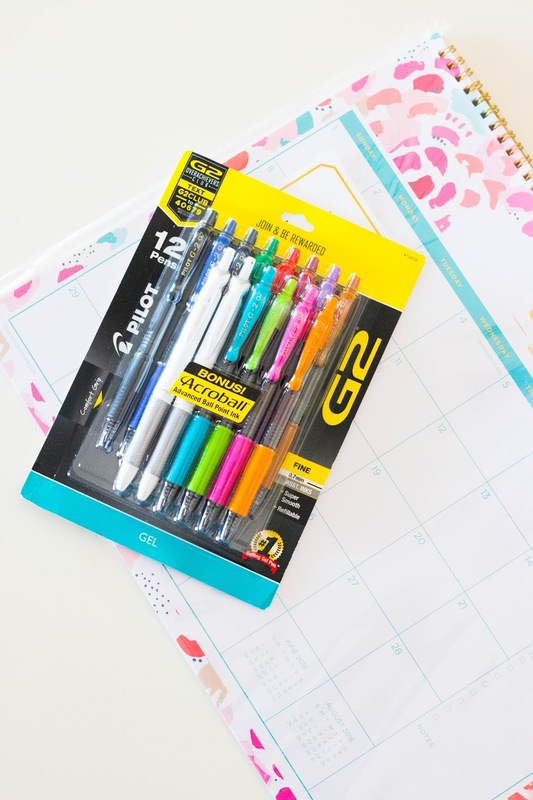 Right now when you purchase your G2® Pens by Pilot Pen at your local Target store, you can get $.75 off your purchase of any four pack or larger. I know all parents are looking to save money for back-to-school, and basically all kids want these pens anyways, so you might as well save yourself some money in the process! Pilot pens are the best!